The Gilas Pilipinas overcome the first game against the Chinese Taipei-A last August 30, 2015 at Xinchuang Gymnasium, New Taipei City. The was too easy for the Philippine team scoring 47-31 in the first half and ended the game with 77-69 win over the Chinese team. Terence Romeo led the game with 18 points, Jayson Williams added 16 points and Calvin Abueva contributed with his 11 points. 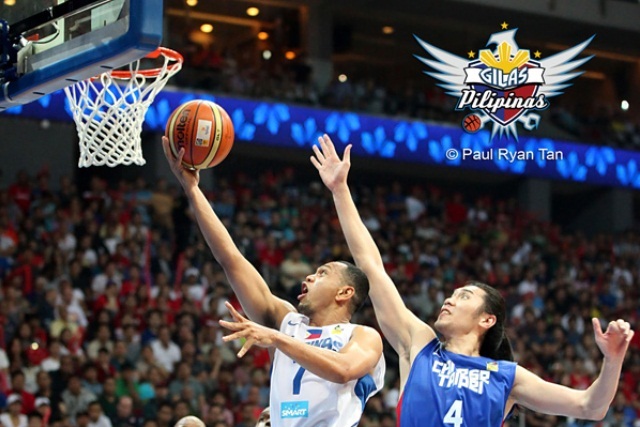 The Gilas Pilipinas will face the South Korean team on August 31, 2015 at 5PM. Watch it live on Sports 5.